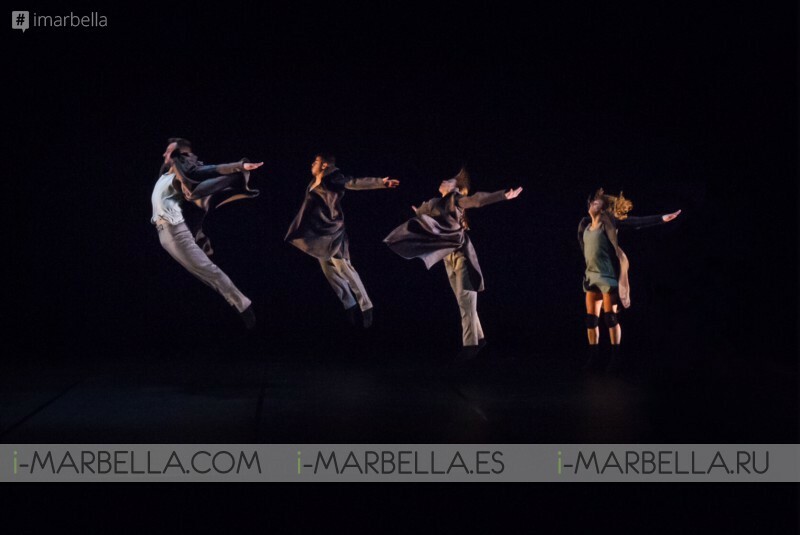 Wennare Dance Company premiered EGO, their first local production, this Thursday, December’s 7th of 2017 leaving not a free seat at the Felipe VI auditorium of Estepona. 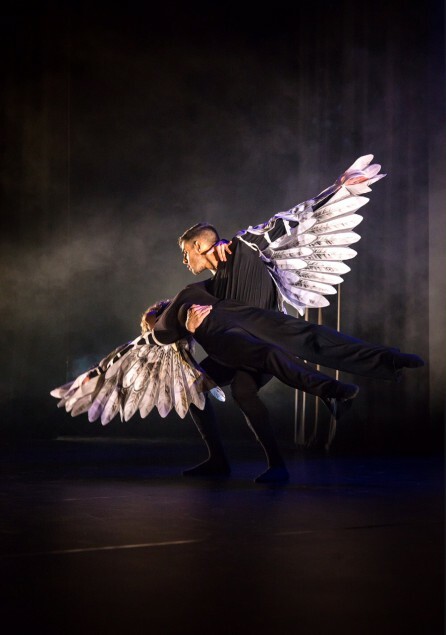 The show awoke great expectations and did not disappoint those present who enjoyed a performance that combined perfectly the feel of strength and sensitivity. 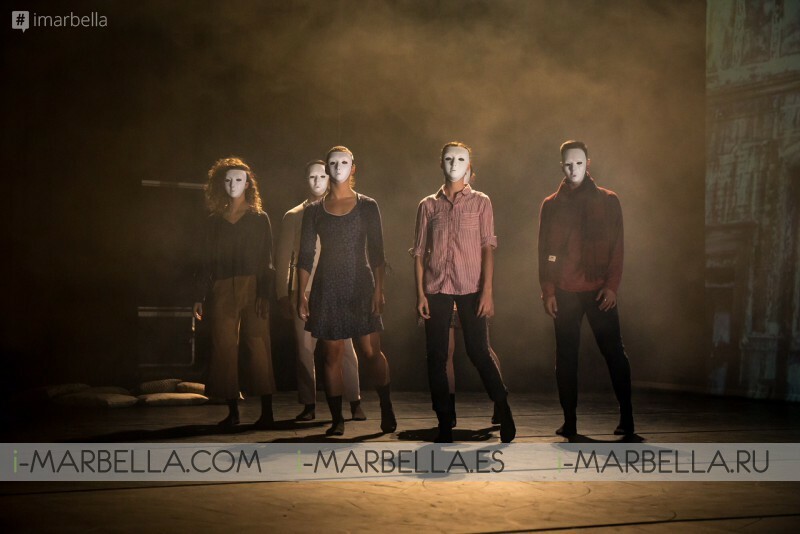 Before an excited audience, the dancers from Spain, Georgia, and France developed on the scenario of Felipe VI all the plastic and communicative capacity of contemporary dance. The program was composed of two choreographies directed by Yuri Gudushauri who reflected the life of a person placed at vital crossroads. An individual story to which all the assistants could feel related showing life as a train trip where we do not know where is our stop or what awaits us there. This way a fresh and innovative show took place this December’s evening, showing off the emotions and disparities between good and evil, darkness and light, and the difficulty one has to choose among temptations, perfectly explained through a perfect embrace of sound, movements, and music. The show was praised by the audience for many of its contents, but one of its main attractions was the psychic contrast between the acts, changing to keep the audience alert while attaching their artistic line to synchronized passages and complicated elevations which required a high athletic capacity. After its premiere in the unique function of Estepona EGO will be on tour through Spain carrying the brand of Estepona with them starting at Andalusia. The director of Wennare Dance Company Veronika Ulkina, showed her gratitude in the name of the team to the City Council and the Felipe VI Auditorium for their support when introducing the show leaving a space for the assistants to enjoy what is for sure one of the most expected and successful dancing shows of 2017. Felipe VI Auditorium of Estepona is the largest and most modern scenic space of the Western Costa del Sol, which covers municipalities such as Estepona, Marbella, San Pedro, Manilva, and Benahavis. This theatre Opened in 2015 and has always been at the forefront of the technologies in stage spaces making it the ideal place to enjoy cultural leisure or to organize meetings. Even better, this 2017, under a new Management and after a few months of hard work, it has managed to program under its curtain more than 140 shows, Monologues and concerts with artists of the great level that you can check on their site.